The Independent Lodge of Theosophists has some specific characteristics which make it distinct from other organizations. Resulting from the centennial experience of the theosophical movement, the structure of the ILT started working as part of the United Lodge of Theosophists approximately one decade before its formal independence. The experience was positive: the work produced fruits and gained strength. At the right moment, it became clear that more autonomy was needed and on 14 September 2016 the Independent Lodge was founded. From that moment, the profile of the Lodge became easier to see and understand. Although numerically small, the Independent Lodge of Theosophists is an international organization. It works in various languages and has thousands of readers in dozens of countries. The ILT is the only theosophical organization which adopts the Letters received from Masters of the Wisdom as its highest bibliographical priority and main guide for action. The Lodge sees a marked difference in level between the letters from the teachers and the rest of the Esoteric Literature in any time or age. Of course, it is necessary to know how to study the Letters. The student must expand his inner affinity with the Pedagogy of the Masters and Helena P. Blavatsky. Their method of work is stated in the Letters and has been carefully examined in our associated websites. The teachings of HPB and of the Mahatmas offer a key to interpretation which enables the student to better understand the philosophies of every nation and all time, revealing their essential aspects. Unlike many associates of the United Lodge of Theosophists, the Independent Lodge does not place William Q. Judge on the same level of knowledge as HPB. For the ILT, Judge was her disciple, and a student who made mistakes. On the other hand, the ILT has a sincere admiration for the life and work of William Judge, and highlights the fact that he was one of the main founders of the movement in September 1875. The ILT sees the theosophical movement as a probatory field. It states that the true movement is in the periphery of discipleship and subject to intense tests. To deny, therefore, the existence of difficulties is deluding oneself and deceiving others. It means failing before starting. This sort of defeat results from a naive Pedagogy. The ILT speaks the truth to people: the fire of Truth burns ignorance in the life of each pilgrim who persists. There is suffering while the healing unfolds in one’s soul. The ILT does not work with blind faith; it relies on research, instead. According to the lodge, the act of studying is not limited to memorizing. 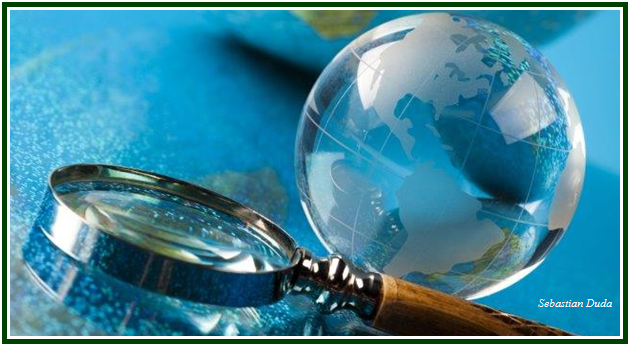 It consists in testing the knowledge in the daily life, taking notes and actively looking for information in legitimate sources, besides preserving in one’s memory what is studied. The ILT sees the movement as a community of researchers. It is wise to remember that there are illusions in the Esoteric world. The Lodge investigates and shows to the public the methods of pseudo-theosophy. 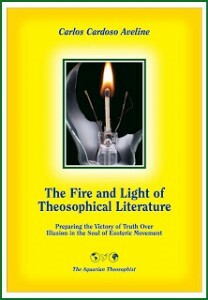 The independence of the ILT as an association is historically linked to the preparation, publication and distribution of the book “The Fire and Light of Theosophical Literature”. While the volume was printed in 2013, the mission that led to it started in 2005: its challenge involves the active defense of Helena Blavatsky. It began surrounded by a number of obstacles, some of which have been removed already. Through its various lines of action, the ILT preserves and highlights that which is authentic in the movement, calmly unmasking active frauds and harmful forms of quietism. Through a number of articles, the ILT observes and defines the direct relation between sincerity and the search for Discipleship. The importance of the ethical duty seems to have been forgotten by the big political corporations and bureaucracies of the movement, a fact which provokes a certain paralysis in them. The Independent Lodge has no attachment to outward forms belonging to the past. It avoids mere repetition and works for the future of mankind, aiming at the year 2075 and beyond. As a rule, the publications authored by associates of the Lodge quote from books and magazines in paper which belong to its physical, intercontinental library, or are otherwise easy to verify. Many of the originals used are available in PDF and also belong to the ILT library. Granting the legitimacy of its sources of information is a top priority for the Lodge. It offers the exact references of texts and authors it quotes from, while publishing an article. It welcomes messages from readers pointing to possible mistakes. Although the ILT promotes physical meetings and actions and sees their importance, it works fundamentally on the subtle level of the online world. Most of the above points are seen as resulting from the continuous study of the Mahatma Letters and the writings of HPB. For the pilgrim who perseveres, the original teachings unfold in levels of consciousness that gradually expand before their vision. For this reason one of the mottos of the ILT is: “First deserve, then desire”. For evidence on this topic, click to see the article “The Main Founder of the Movement”. More on that can be seen in the text “The Making of ‘The Fire and Light’”. See for instance the articles “Finding the Light on the Path” and “M.C.’s Text on Karma, Annotated”. A remarkable text from a Mahatma on this topic is “Two Schools of Occultism”. Click to read the articles “The Three Levels of Association”, “Three Dimensions of an Effort”, “Examining Seven Questions” and “Independent Research in Theosophy”. See “The Independent Lodge of Theosophists”, “Independent Lodge and the Movement”, “The Creation of the ILT in 2016”, “The Vitality of the Effort”, “The Seven Principles of the Movement” and “The Theosophical Movement, 1875-2075”. Readers might like to examine “Theosophists Must Be Independent”, “How to Build a Theosophical Lodge” and “New York, September 7th, 1875”.